Today was the first Green Asterisk Cowork Meetup and it was pretty great. Not quite as big as I was hoping it would be, but there were people, there was coworking, and there was a meeting where a lot got decided. If you know Christopher McElveen, you know he doesn't stick around at parties for very long. But he was up early today so he was the first to stop by. 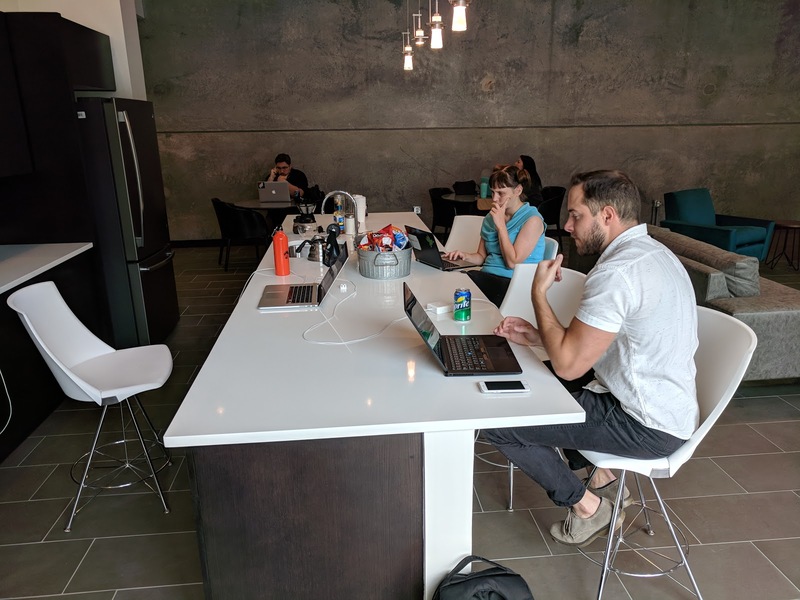 Before he left I gathered his thoughts on coworking to use in the meeting. Some time passed and Rina Bane, Sylvia Christiansen, Michael La Plante, and Mark Carpenter showed up just in time for the meeting. There were a lot of people I hoped would be there that weren't, but most of them explained some extenuating circumstance or another. So it was the five of us when I started the meeting to discuss the future of Green Asterisk Coworking. We talked about a lot of things, but mostly we came up with a game plan for how to continue. The meetup is going to meet every two weeks on Fridays. There will be a minimal overhead because we're meeting at The Pearl, where I live. All I have to figure out is where to find a building and how to pay for it. If our community grows to the point that I can count on them to provide some capital, then that will be great. I will definitely use that. But if I need to take out a small business loan, that'll work just fine with me, too. But all that is the cart and I'm still saddling the horse. For now, I run a coworking meetup. And it's fantastic. Come every two weeks to the Pearl on Friday and get some work done with me. It'll be fun!